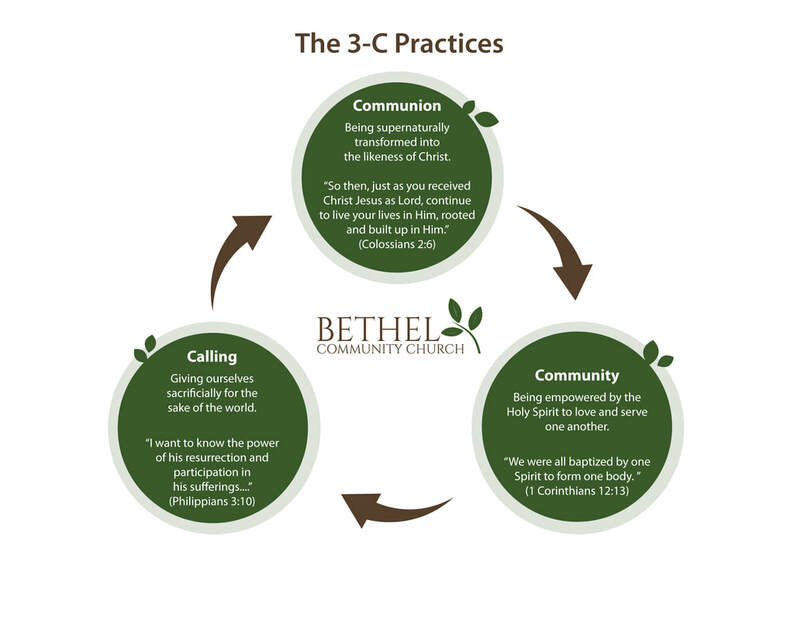 What Are the 3-C Practices? ​Communion: Walking with Christ. This includes the study of God's Word, prayer, and other disciplines. Community: Loving one another. This involves Worship, connecting with others in a house church or small group, and sacrificially using our time, talent, and treasure in service to others. The chart below illustrates how each 3-C practice builds on the next in an ongoing cycle.